Former President Ferdinand Marcos, before he was ousted from power, actually planned on exploiting the natural resources of the currently disputed Spratly Islands for the interests of the Philippines. He was the first and only president to actually make national and international legality maneuvers in order to make the islands a part of the Philippines. It was the founder of the Philippine Maritime Institute (PMI), Atty. Tomas Cloma who discovered the islands in 1947. With his brother Filemon Cloma and a crew from the PMI training ship, they discovered the islands which were uninhabited and unoccupied. Their discovery at the time was sworn to secrecy, and up until 1950, their team kept on visiting the place, quite possibly surveying the islands. When Taiwan and Vietnam made claims of the discovery of Spratly Islands, they rebuked the countries by stating that they own the islands. Japan settled in Spratly Island during the WWII and after the war it was assumed that the United States had ownership of the group of islands but luckily they didn’t make any claims on it. Eventually Tomas and Filemon, along with 40 other men decided to formally claim the seven Spratly islands for themselves in May 11, 1956. Tomas got it publicized through the media and actually called the islands the Free Territory of Freedomland. It is stated that this formalization was influenced by the current at-the-time Vice President and Secretary of Foreign Affairs Carlos P. Garcia, a man of the same home province as the Cloma brothers were. Garcia adviced Tomas to avoid international conflict but in July 6, 1956, Cloma decided deny his advice and declare to the world that his islands had its own government. With the sovereignty in question, the only clear thing was that the government of Freedomland would be the protectorate of the Philippines, United States and United Nations. Atty. 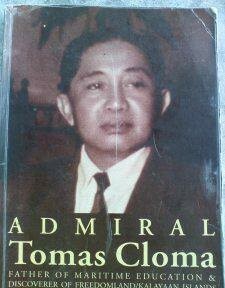 Tomas Cloma was treated as a clown, he was even dubbed “Admiral Cloma” for such a “publicity stunt”. But this didn’t bother the lawyer, he kept strengthening his claims on the islands for it could be exploited in the farming industry for it was a source of phosphates and guano. He even had men settle in Freedomland. Res nullius is the foundations of Cloma’s claims, for if nobody knows who owns the islands then it is an island that nobody owns which can be claimed and owned. When Marcos got seated into power and then declared Martial Law, he set his eyes on the natural resources of Cloma’s Freedomland. 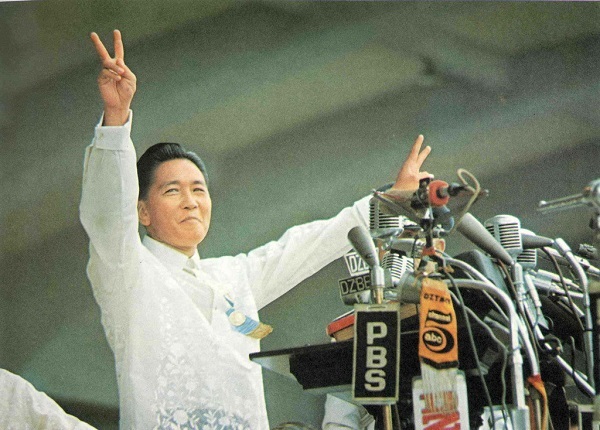 It was one of Marcos’ goals during his presidency, to provide the Philippines with a cheaper and better source of energy and ocean surveys claim that Freedomland was incredibly promising. He negotiated with Cloma but the man refused. With his power, he incarcerated Cloma but released him eventually after the man agreed to cede all rights to the Philippines for Php. 1.00! Marcos did everything in his power to make the islands a part of the Philippines. He was the first person to actually make legitimate international legal maneuvers in order to claim the islands for the Philippines. The former president, in 1978, renamed the islands as Kalayaan through Presidential Decree No. 1596 and declared it as a municipality of Palawan. But in order to make it a municipality, the islands must be inhabited with a civil government. Marcos made the move of sending 200 civilians and a battalion of marines to occupy the islands, protect it and create a legitimate municipality within it. After such efforts to make the islands a part of the Philippines, in order to make the islands an important asset of the Philippines, to exploit its natural resources for the betterment of the Philippines, the Philippines LOST the Spratly Islands under former President Benigno Simeon Aquino III. It was incomprehensible why Aquino gave up one of the most important assets of the country but it appears that a couple of Chinese vessels harassing a Philippine research ship was enough to give up all the decades of battle for ownership and the promising future of the Philippines through the valuable natural resources that the group of islands contained within. One thing is for sure though, President Rodrigo Roa Duterte is trying to salvage what he could from one of the many yet biggest mistake of Aquino.